Our country may not be as famous for this particular beverage as most European nations are. But, little do people know that we are the 6th biggest coffee producers in the world. The landscape, weather and processing conditions have given our coffee a less acidic and unique flavor. For these reasons alone, it has never run out of demand. But what’s worth noting is that, out of our production, only about 33% is used domestically and the rest is exported worldwide. This highlights our loyalty to tea. We’ve gotten so attached to tea that any beverage that isn’t tea doesn’t sit well on an Indian stomach – or so it was until recently. According to numerous studies, our tea culture is shifting gradually towards a delicious coffee culture. The coffee culture in India actually has a history that dates back to the 1670s when an Indian Muslim saint smuggled seven beans and planted them in the country. This plantation grew over the years, until India decided to focus on exporting them to the rest of the world. At the beginning, however, it was considered to be a drink of the privileged. Rich Brahmin and educated classes were mostly among them and the rest settled to drink tea. But with time, coffee became a specialty beverage in South India and later spread to other areas. As of now, coffee is consumed by almost anyone, regardless of their caste or religion. Variety is among the many reasons for the popularity of coffee. 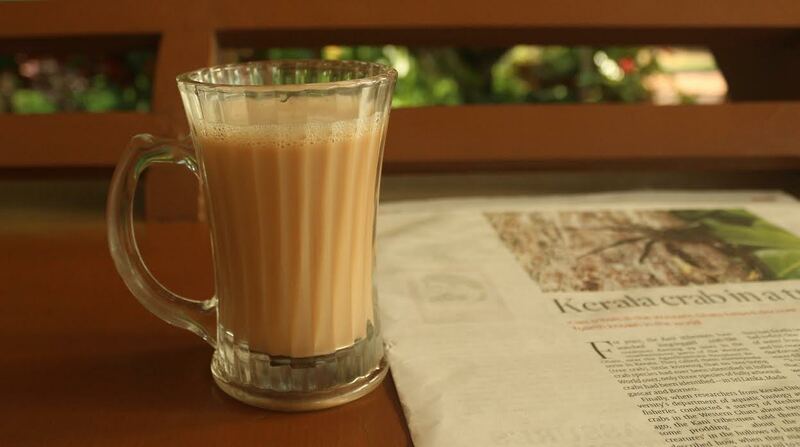 For most of us, tea was simply tea – and we often took it plain or with milk. This lacked the variety our taste buds demanded. Coffee varieties, on the other hand, grew by the day and served anything from instant cappuccino, to latte and espresso. They were advertised well too, and our urban population didn’t blink twice to embrace it. Then came the cafes. Nobody could blame when the crammed-up cafes turned into spacious coffee houses with free Wi-Fi and air conditioning. Our youngsters started seeing it as the ideal place to chill an evening out, hold get-togethers and go on dates. Even the older generations found it difficult to refuse a cup of cappuccino from Starbucks and cafes like JW Café in Mumbai. So, even they began holding formal discussions and meetings within the privacy and safety of the café walls. Certain other cafes, like the Leopold Café and Bar in Mumbai and the Café 1947 in Manali have vintage and traditional settings to specifically attract tourists. However, this also tempt the classic locals to join them and spend an evening behind the cup of delicious coffee. Tonico Cafe. A private cafe in Thrissur. However, one thing I noticed is that our Indian coffee culture is not influenced by the taste alone. Research shows that about 40% of young coffee drinkers drink it simply for pleasure. Effective advertising and westernized thoughts act as the main reasons. They make the teenagers and youth see drinking it as a trend, and use cafes as a trendy and plush venue to hang-out. Regardless of why it is sought, it still contributes to a growing culture. Having identified this beforehand, the Cafe Coffee Day, which is currently the largest local coffee store, started expanding its branches from zero to more than 150 in less than 5 years. Global brands such as Costa and Starbucks came into the picture too, by firmly establishing their outlets and showing great interest to invest further in our country. This shows signs of a glowing future in the market. Though the market is flourishing, most of us still prefer a traditional cup of tea and the production and consumption of tea continues to be three times as much. But, what draws attention is the 5% annual growth in the coffee industry, which is 3% greater than that of tea. This growth, in fact, is backed by urbanization and economic growth. So, people now find coffee more affordable and delicious enough to try, and as a result have drawn many foreign investments from pioneers in the world. To sum it up, all these factors will soon see our country among the main coffee-drinkers in the world. Author bio: Dennies is the founder of Dripped Coffee. Check out Dripped Coffee on Facebook, as well. I love coffee and I learned a lot about Indian coffee culture.Thank you for posting this.Hope you post more in the future. Thats a great post. Its good to know that annually there is 5% increase in the consumption of coffee. I am studying about coffee these days. Instant coffee and brewed speciality coffee. I have got sources from Yemen where the originality of coffee takes place. If you know any roasters in India who might want to give a try do share them my info.